How to use all those CSA veggies?! Wondering how to use all those spring veggies from your CSA (Consumer Supported Agriculture group) or the local farmers market? 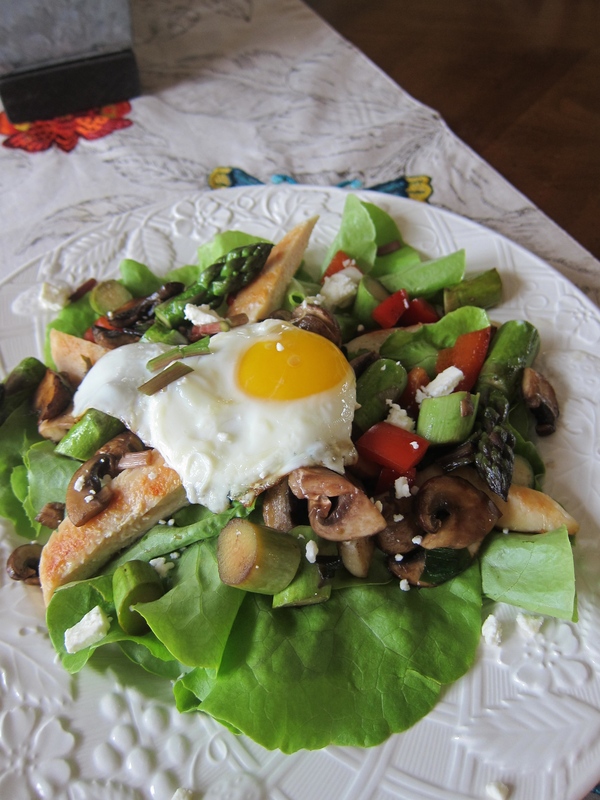 Here’s an idea-a giant salad with sautéed veggies, chicken and an egg! It’s packed with protein and filling. It’s no secret that I love to eat and sometimes a cold salad for lunch just isn’t as satisfying for me. I love salads that have a “warm” component. They’re more filling and keep you running throughout the afternoon. This takes a couple minutes, but it’s well worth it :) The recipe is really free-form. Use what you have, what is fresh and what you like! egg-fresh from the farm if you can, the flavor is so much more intense! 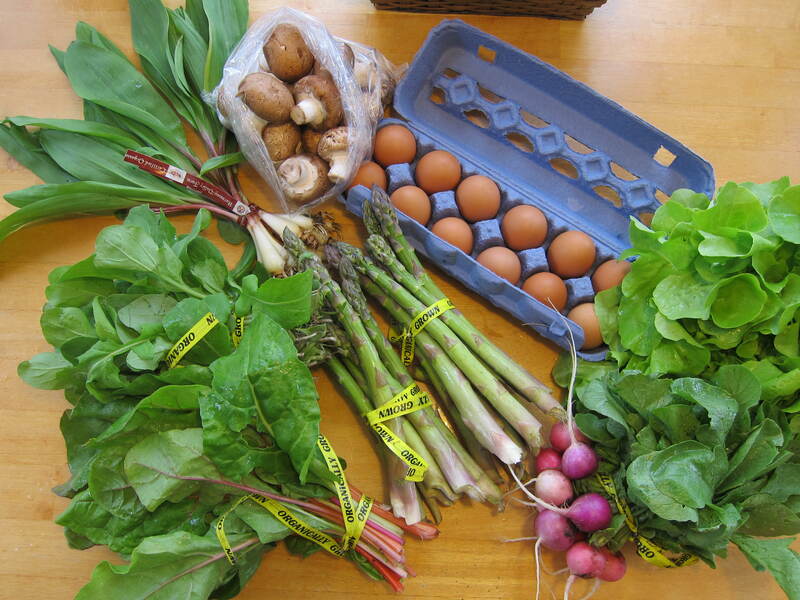 Posted in Salads, Veggies and tagged CSA, egg, main dish salads, salad, Sandhill Organics. Bookmark the permalink.